Recent Stanford Law graduate Christopher “Tripp” Zanetis J.D. ’17 was among the seven U.S. troops who died in Thursday’s helicopter crash near Qaim, a town in western Iraq near the Syrian border. A litigation department associate at the New York City firm Debevoise & Plimpton, Zanetis had left for Iraq — his third tour — in the middle of January. The 37-year-old was on leave from his post as Fire Marshal at the New York City Fire Department (FDNY). Zanetis died alongside another New York City firefighter, Christian Engeldrum, and the other five troops in the helicopter. According to The New York Times, officials do not suspect that the crash occurred because of hostile action. Initial investigations suggest that a mechanical failure may have occurred prior to the crash. The helicopter, a HH-60 Pave Hawk, is in the same family of helicopters as the Black Hawk helicopter and is commonly used for search-and-rescue missions. Ahmed al-Mahilawi, Qaim’s mayor, said that the accident occurred shortly after the helicopter took off. The Times also reported that the helicopter was not on a combat mission but rather just moving troops at the time of the crash. President Donald Trump acknowledged the seven troops’ death in a Twitter post on Friday. Zanetis graduated from Stanford Law with pro bono distinction, according to his biography on Debevoise & Plimpton’s website. 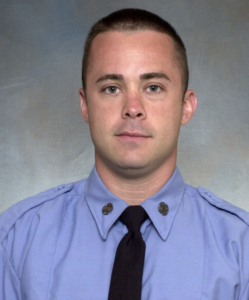 He graduated with an honors degree in politics from New York University in 2003 and had been a firefighter with FDNY since 2003. Contact Courtney Douglas at ccd4 ‘at’ stanford.edu.